Mobile navigation has put on a huge growth spurt in the past 12 months, with 44 million people using their mobile phones to get from a to b – a 57 per cent increase from last year. The rise and rise of GPS-enabled mobile phones has seen a massive growth spurt for mobile navigation, as people begin to move onto platforms like Android and Apple's iOS 4. According to Berg Insight's figures, the use of mobile navigation in the first half of 2010 increased by close to 60 per cent compared to the same period in 2009, and that number is set to grow further. "The subscriber base is forecast to grow at a compound annual growth rate (CAGR) of 33.1 per cent to reach 195 million users worldwide in 2015," added the report. "Broad availability of GPS handsets and attractive pricing are key factors for widespread adoption of mobile navigation services. "In the US, where GPS handset penetration is above 70 percent, navigation services for mobile phones has already reached about 8 percent of the total mobile subscriber base." 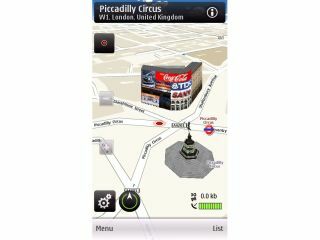 As mobile phones with aGPS chips become prevalent, the pressure on the sat nav industry is growing, although many of the companies involved insist that there is still a need for a dedicated device.